hardhack will be all hands-on workshops and/or demos. what does that mean? that means that there will be no powerpoint presentations, no blah blah, only hands-on workshops or demonstrations. there will be no video projectors, so if you require that for your workshop, please rethink and prepare printed or digital handouts to convey the information you need to share. example topics for hands-on workshops or demos at hardhack (these are not limiting, be creative! ): building hardware from a kit you designed, reverse engineering existing hardware, wearables, washable circuitry, building sensors from scratch, 3d printing, diy manufacturing, reversing firmware on existing hardware, open source hardware, fun with embedded device firmware, blinky stuff, robotics, audio hardware, vehicle modding, circuit design, or anything fun your brain can output for a hardhack workshop. once workshops are accepted, there will be a sign up list for each workshop to determine which ones make the cut. this reduces the empty / too-full workshop syndrome and allow for a maximum of hardware hacking! hardhack will be a sub-conference of SIGINT this year, and all entry costs for participants will apply. travel costs for persons giving workshops at hardhack can not be covered, but the entry cost to SIGINT will be covered. 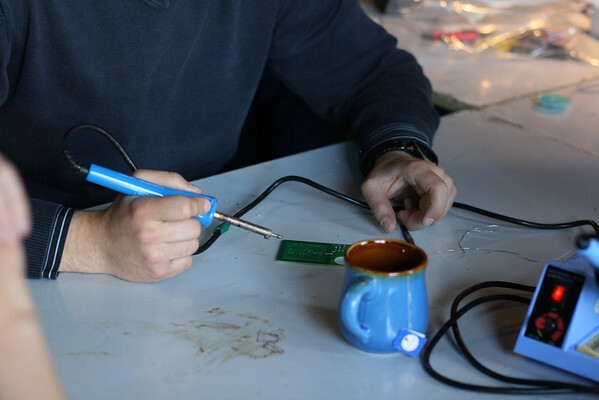 the call for workshops for hardhack is separate from the call for papers for SIGINT, you are free to apply to both if you like. selling kits for your workshop is fine, but please keep the costs fair and transparent from the beginning. hardhack will have the space for about 200 participants, sign ups for workshop participation will go online as soon as each workshop is approved. any questions? mail att hardhack dott org.